Located just south of the Townsville CBD, the circuit winds its way through Reid Park where specially constructed roads form approximately 70 percent of the circuit. 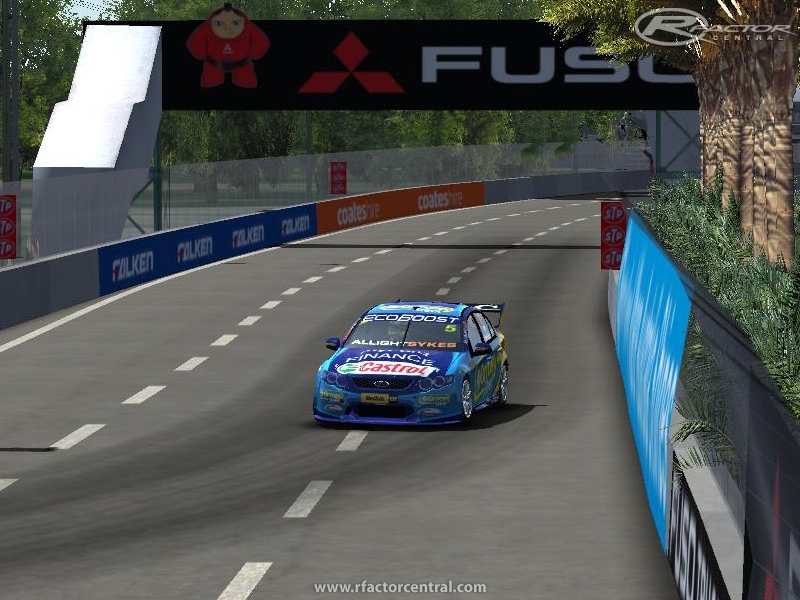 Set in a parkland style reminiscent of the Albert Park street circuit in Melbourne, the Townsville circuit proved to be a challenge in its inaugural year in 2009 and quickly became a favourite of the drivers. Fixed AI driving through walls and exiting garages, tweaked AI lines, added pit lane exit lights as well a few graphical tweaks. There are currently no setups for Townsville 400 2012. Add a Setup. Rain is only one of the features of the plugin. Much more interesting are how, now on, temperature and humidity and other coefficients are applied to have no one lap similar to the previous or the next one. The paintings and drivers present in mod, are the participants of the rounds in Barcelona and Monaco .. The pit lap is counted on my install, that was one of the things I fixed. Did you delete the original folder first befor installing V1.1? Hey man love your work is it possible you could do Bathurst. Hey man nice work love the aussie Street Tracks ........ any chance of converting this to RF2?